 Reform specializes in the proven pelvic floor method for pre-habilitation and rehabilitation. Dr. Abby Bales has been working one on one with clients for over 15 years. The cornerstone of Reform is personalized service. This not only means tailoring programs around both your physical and daily needs, but also prioritizing and adapting to your time constraints. Dr. Abby Bales is a passionate advocate for women’s health. Pelvic floor physical therapy with personalized, comprehensive strength training is the best way to remain active during and after pregnancy. Our methods are built from knowledge. Beyond being NY State Board Certified and Licensed, Dr. Abby Bales attends multiple certification courses every year. She is an active member of the American Physical Therapy Association and the APTA Section on Women’s Health. Dr. Abby Bales has over 15 years experience as a run coach and personal trainer, affording her an unique understanding of the importance of personalized service and developing personal relationships. The world of personal care is ever evolving. We are committed to staying up-to-date and engaged in ongoing continuing education and following advancements in the fields of physical therapy, medicine, and health. Physical therapy is a medical practice by which highly educated and trained specialists help clients maintain, restore, and improve movement, activity, and function. Physical therapists help clients achieve optimal performance and enhanced health, well-being, and quality of life. Reform Physical Therapy is a strong proponent of pelvic floor physical therapy. This technique specifically addresses the abdomen, hips, pelvis, and internal musculature of the pelvic floor and all of its dysfunctions through manual therapy and restorative neuromuscular training. We specializes in keeping women as active as possible throughout pregnancy and helping them return to activity postpartum, while addressing any pain or dysfunction along the way. The pregnancy and postpartum periods require specialized medical attention be paid to the mother in order to prevent injuries. Reform Physical Therapy staff are trained in and educated on all systems of the body and how they interact in order to provide our clients with a comprehensive fitness and wellness program. We take into account your medical history, training demands, and lifestyle to create a plan that works for you. Our team will customize your fitness routine during this special time in your life, with an eye towards treating any aches and pains as well as preventing injuries during pregnancy and postpartum. A healthy mom sets an example for healthy children. Whether it’s weight loss, a marathon, or playing with your growing children, your goals are our goals. Reform Physical Therapy has worked with some of the top boutique fitness studios in New York City, educating their staff on anatomy, exercise physiology, pregnancy and postpartum exercise techniques, and programming of fitness routines. We make your studio and instructors smarter! Dr. Abby Bales is also available as an expert speaker on women’s health, pelvic floor rehabilitation, or women’s running. She is happy to share her expertise at conferences or fitness and running camps, in media interviews or podcasts, or in any capacity as an educator or public speaker.